It has taken me a long time to write this post. Roman was the best dog we’ve ever had. 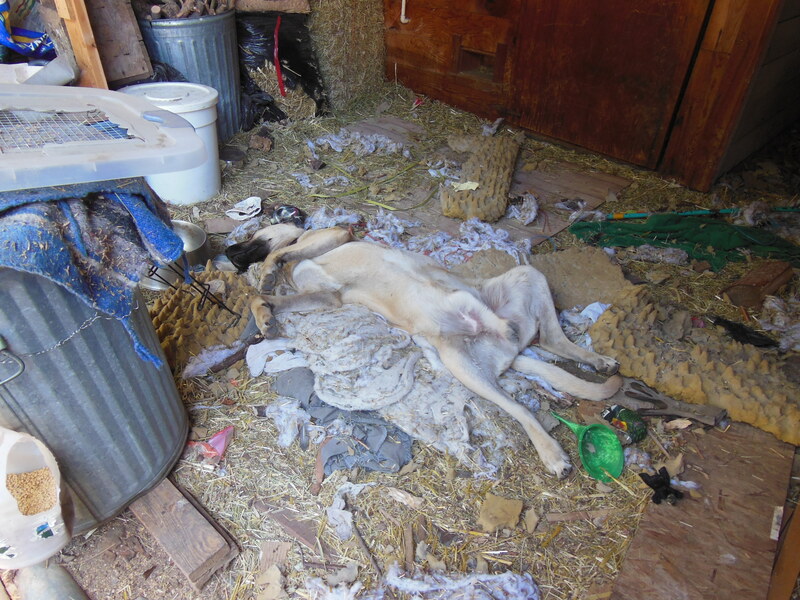 In the above picture he is laying next to a bull snake that he’s chewed the head off of. He was protecting his people and his animals. 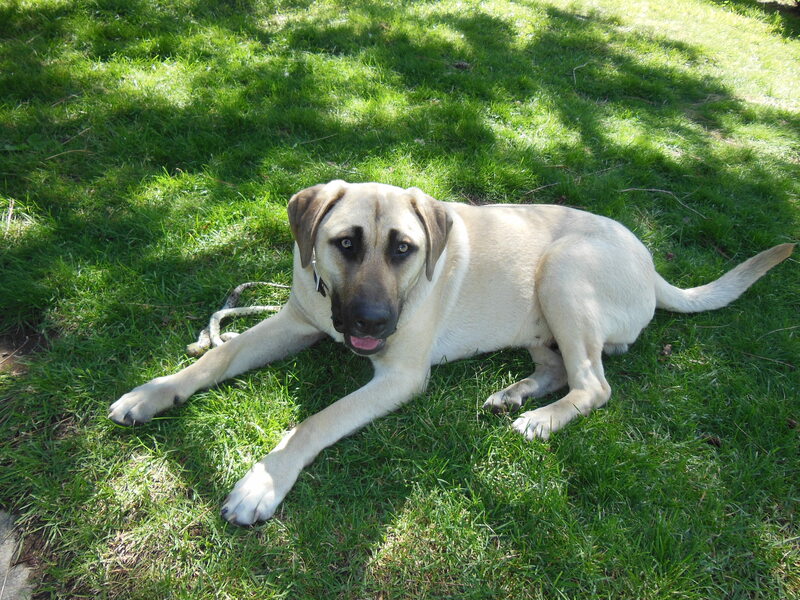 He was a Kangal/Boerboel cross. His breeds protect things. He never allowed strange animals to come onto our land. He never met a person he had a problem with but we felt that if someone did come here with bad intentions he would have known it. He made me calm. I always felt like he had everything under control. He had a job. He knew what it was and didn’t fret after me wondering what else he could do. He was great to hang out with, though, and always close by. Roman in all his filth. He used to get horribly car sick. Also, he had one leg that went crooked for a few months but then straightened on its own. 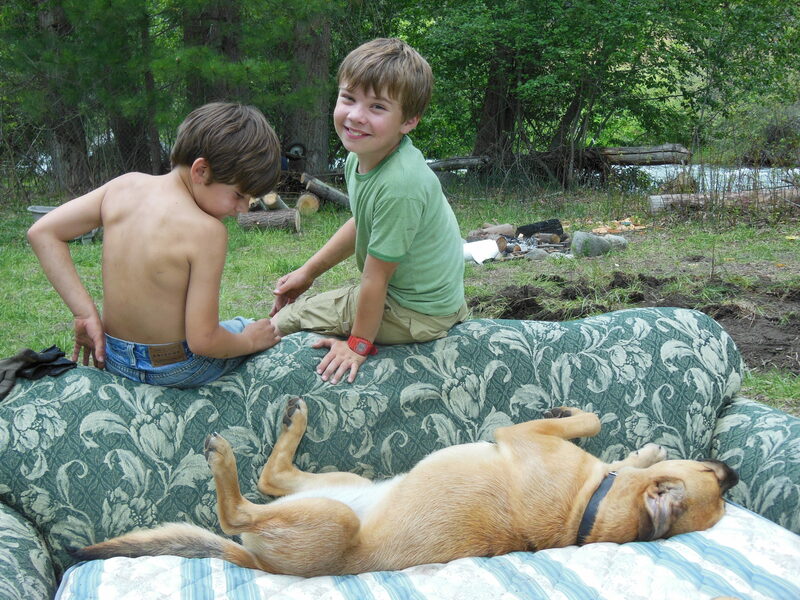 One day in June, 2013, Roman chased some wild sheep off and was hit by a truck. I hollered and yelled so much our neighbors ran down the hill to help. His leg was so mangled that I yelled to Daniel to shoot him, just shoot him. I didn’t want him to suffer. Later I found out our boys thought I was telling Daniel to shoot the man who ran him over! The poor guy had stopped to see if there was anything he could do. We loaded him into our pick up and took him to the vet. I rode in the bed with him and held his head to comfort him. It takes 40 minutes to drive to town. We ended up having to put him down. I had recently found Roman’s sister for sale on the breeder‘s website. We called him on the way home to see if he still had her. He did and we went there the following weekend and picked her up. 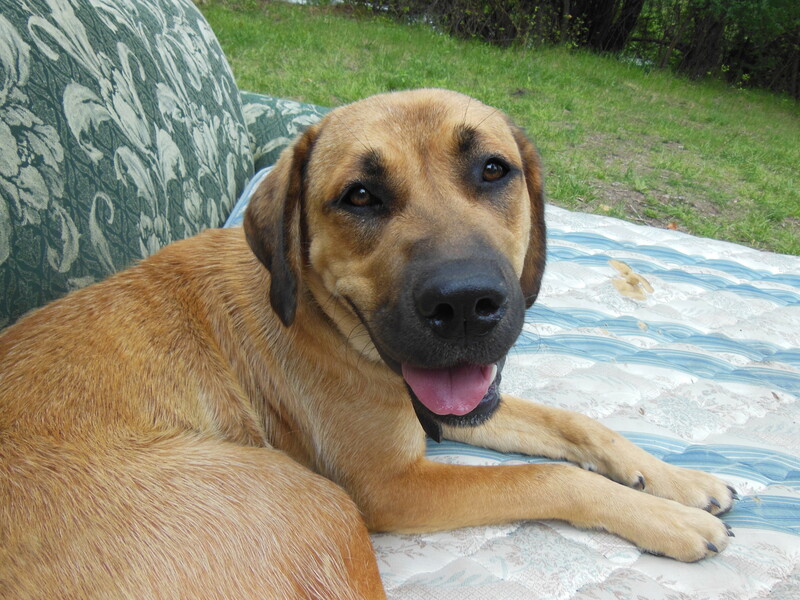 We decided to get another dog right away because a dog is almost the only protection our animals have from predators. Ideally we would have two at all times. We are currently saving up to buy Bersa a buddy. This entry was posted in Happenings, Livestock Guardian Dogs, Uncategorized and tagged Boerboel, Kangal, Livestock Guardian dog. Bookmark the permalink. Awe, this is a good tribute. I’m so glad I got to meet him. I lol (ed) when I read the part about what the boys thought.